A wildlife survey was undertaken of the churchyard on the 5th & 22nd of July and the results of that survey are presented here. The majority of the bird records came from the woodland edge surrounding the churchyard and overflying birds. 19 species were recorded during the survey. Herring Gull Larus argentatus (Red Status) – This species was only recorded flying over the churchyard area. Hastings & St Leonards support a major breeding population of this species which is undergoing a long-term breeding decline and Britain supports an internationally important breeding and non-breeding population of this species. Song Thrush Turdus philomelos (Red Status) – A song thrush was recorded singing and feeding amongst the woodland edge surrounding the churchyard. This species is also undergoing a long term species decline and woodland edge habitat bordering grassland and gardens is very important for this species. Swift Apus apus (Amber Status) – Recorded flying over the churchyard area. This species breeds in buildings in Hastings & St Leonards but is another species undergoing a population decline in Britain. Bullfinch Pyrrhula pyrrhula (Amber Status) – A small flock of bullfinch were recorded using the woodland edge surrounding the churchyard. This may have been a family group that had bred nearby. This is another species that has undergone a significant population decline in Britain and requires species diverse woodland edge and scrub habitat to breed. Species list of birds recorded during the survey. During the survey 56 species of vascular plants were recorded. A small number of rare and scarce arable plants were recorded but as these were seeded rather naturally grown these records are not as important as if they had been recorded in the wild. Corncockle Agrostemma githago. Nationally rare, almost extinct as a native but commonly introduced with wildflower seed mixes. 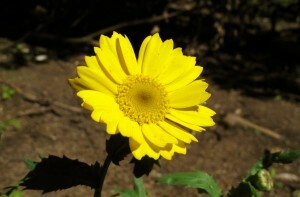 Corn Marigold Glebionis segetum. 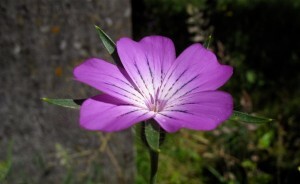 This species has a conservation status of Vulnerable and is declining in the wild, another species commonly introduced with wildflower seed mixes. 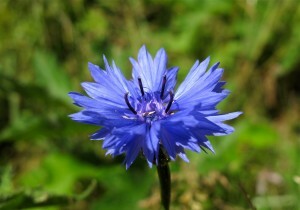 Cornflower Centaurea cyanus. This species is very rare in the wild and a UK Biodiversity Action Plan species due to it’s decline. Also commonly introduced with wildflower seed mixes. 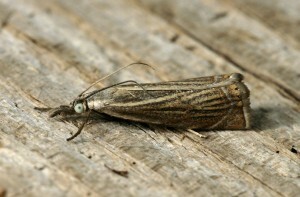 35 species of insect were recorded during the survey. 1 species of Odonata was recorded during the survey. Species list of Odonata recorded during the survey. 2 species of Orthoptera were recorded during the survey. Species list of Orthoptera recorded during the survey. 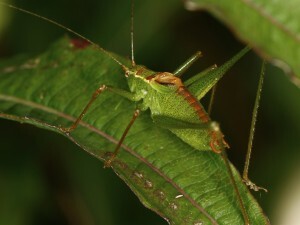 1 species of Dermaptera was recorded during the survey. Species list of Dermaptera recorded during the survey. 6 species of Hemiptera were recorded during the survey. Species list of Hemiptera recorded during the survey. 1 species recorded during the survey. 4 species recorded during the survey. Species list of Lepidoptera recorded during the survey. 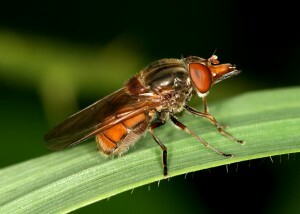 7 species recorded including one nationally rare species of hoverfly, Rhingia rostrata. The above photo is of the much more common Rhingia campestris but the two species look very similar. The rarer Rhingia rostrata, which occurs at this site, has a shorter snout and lacks the black markings on the abdomen. Rhingia rostrata currently has the conservation status IUCN (pre 1994) – Vulnerable, although this species has been increasing in range in recent years. This species is considered to breed in badger dung and badger latrines and probably occurs at the site due to the proximity of the large active badger sett in the surrounding woodland. Species list of Diptera recorded during the survey. Species list of Coleoptera recorded during the survey. 9 species were recorded during the survey including the newly colonised tree bumblebee Bombus hypnorum. This bumblebee, which breeds in holes in trees and within nest boxes was recorded as new to Britain in 2001 from Landford, Wilts. Marline Valley Nature Reserve, Hastings was one of the first places it was recorded in Sussex but it has been rarely recorded in Hastings since until this year. It is now clearly established and breeding in Hastings now. 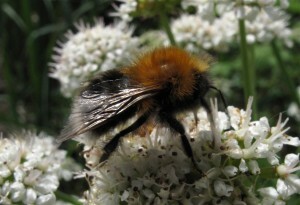 The species is unique for a British bumblebee in having the combination of a ginger thorax, a black abdomen and a white ‘tail’. Species list of Hymenoptera recorded during the survey. 8 species recorded during the survey including 2 nationally scarce species, Zilla diodia, which is a small orbweaver associated with woodland edge and scrub vegetation and Coelotes terrestris, which is found under stones and fallen logs. 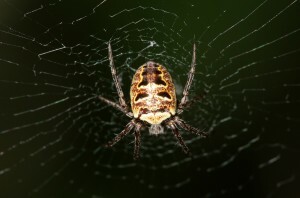 Species list of Spiders recorded during the survey. No mammals were recorded during the survey except for the presence of a large badger sett in the woodland adjacent to the graveyard. This is clearly a very active sett, possibly a breeding sett.